Decoding four important provisions in the Finance Bill 2018.
Business entities undergoing insolvency and restructuring proceedings are facing several challenges on the tax front. A company undergoing insolvency proceedings under the Insolvency and Bankruptcy Code (IBC) is likely to undergo debt write-off or restructuring. Such write-off or waiver of the debt leads to a higher ‘book profit' and consequential higher Minimum Alternate Tax (MAT) liability. This had led to significant additional tax cost and was posing challenges to effective implementation of such proceedings. Further, under the insolvency proceedings transfer of shareholding from existing shareholder to a new investor also resulted in change in substantial shareholding. Where a change in beneficial shareholding of an unlisted company is more than 51 per cent, the Income Tax (I-T) Act prohibits carry forward of tax losses for set-off in future years. This resulted in higher future tax liability without the ability to set off past tax losses. The Finance Bill 2018 proposes to ease MAT provisions for companies undergoing insolvency proceedings. The Bill proposes to allow adjustment of the entire brought forward loss (including unabsorbed depreciation) to arrive at the book profit for MAT purpose. While this proposal does not directly address the issue of debt write-off impacting MAT liability, it does ease the burden to the extent of the additional loss available for set-off. Further, it has been proposed to permit carry forward of tax losses even in case of a change in substantial shareholding pursuant to a resolution plan approved under IBC. This enables such companies to enjoy set-off of past tax losses, despite change in substantial shareholding. One of the areas addressed by Base Erosion and Profit Shifting (BEPS) action plans is amendment to the definition of ‘Permanent Establishment’, which till date has been focused on legal and physical presence. 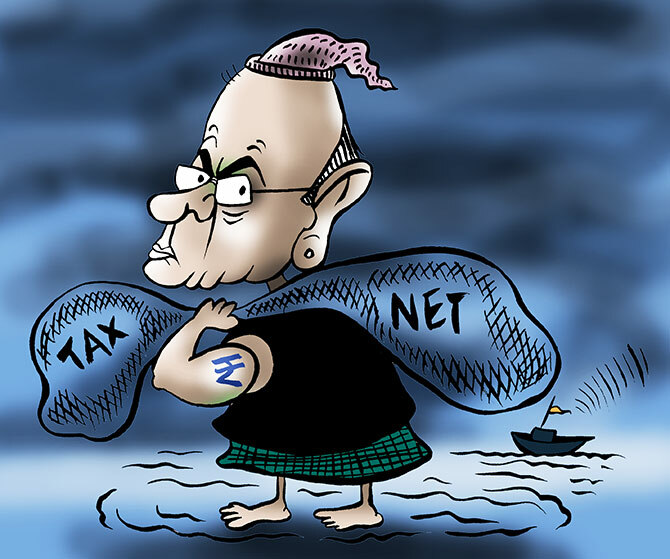 The I-T Act taxes a non-resident undertaking business activity in India through a ‘business connection’. The term business connection, though wider than ‘permanent establishment’ as understood in the context of tax treaties, still does not cover business conducted by a non-resident through digital mode, without creating a physical presence in India. Further, business connection can be created where a ‘Dependent Agent’ concludes contracts in India. However, under the multi-lateral Instrument (MLI), Dependent Agent PE definition has been widened. Thus, there was a need to realign the scope of ‘business connection’ under the Act with modified definition of PE. The Finance Bill 2018 proposes to align the scope of “business connection” by amending Section 9 of the Act to provide that “business connection” shall include any business activity carried through a person who habitually plays the principle role leading to conclusion of contracts. Further, in line with the observation made by OECD in Action 1 (Digital Economy), the term ‘business connection’ has been widened to include ‘significant economic presence’ in its ambit. ‘Significant economic presence’ shall be established in India if a non-resident transacts in India beyond a specified monetary threshold or undertakes a systematic and continuous soliciting of business through digital means with customers beyond a threshold as may be specified. Through this introduction, India is seeking to assert its right, as a source country or the market, to tax revenue from consumption in its territory. Under the existing provisions of the Act, in case where an immovable property is transferred at less than the stamp duty value of the property, the stamp duty value is deemed to be the full value of consideration arising out of transfer of such property. This existing scheme has led to double taxation of the difference of sale consideration and stamp duty value in the hands of purchaser and the seller. Further, the scheme does not take into account variations in value of property located in similar area that may occur because of a variety of factors, including shape of the plot or location. The budget has proposed to provide that no adjustment shall be made to the consideration in case the variation between the stamp duty value and sale consideration is not more than five per cent of the sale consideration. The existing provisions of the I-T Act provides for 100 per cent tax deduction for a period of three years out of seven years, beginning from the year in which the start-up is incorporated. However, in order to be eligible for the tax concession, amongst other conditions, a start-up was required to be incorporated before April 1 2019 and should undertake ‘eligible business’. ‘Eligible businesses’ is defined to mean a business which involves innovation, development, deployment or commercialisation of new products, processes or services driven by technology or intellectual property. Thus, use of technology and intellectual property became an essential pre-condition for eligibility of the tax concession, thereby limiting the scope of start-ups. In order to provide thrust to employment generation, the Finance Bill 2018 has proposed that the benefit of tax concession would be available to an entity which is engaged in the innovation, development or improvement of products or processes or services or a scalable business model with a high potential of employment generation or wealth creation. Further, the benefit would also be available to start-ups incorporated on or after April 1, 2019, up till March 31, 2021. An analysis by Grant Thornton.